Call 847-546-2228 to book reservations! 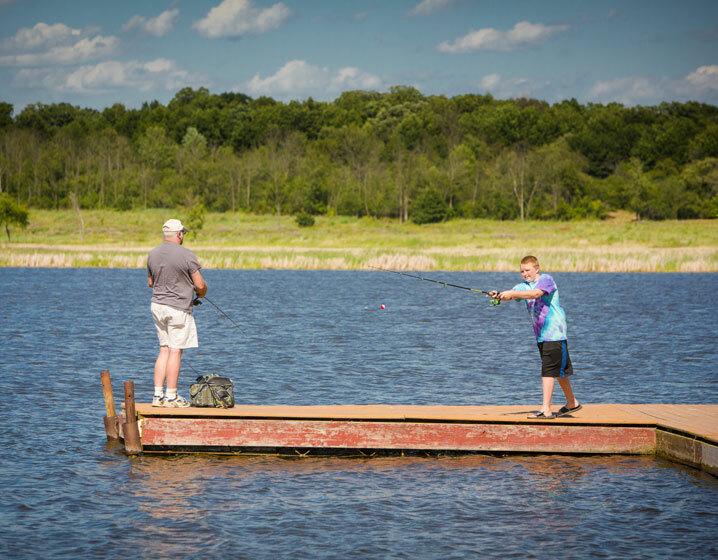 Paddle, swim or go fishing on Fish Lake! 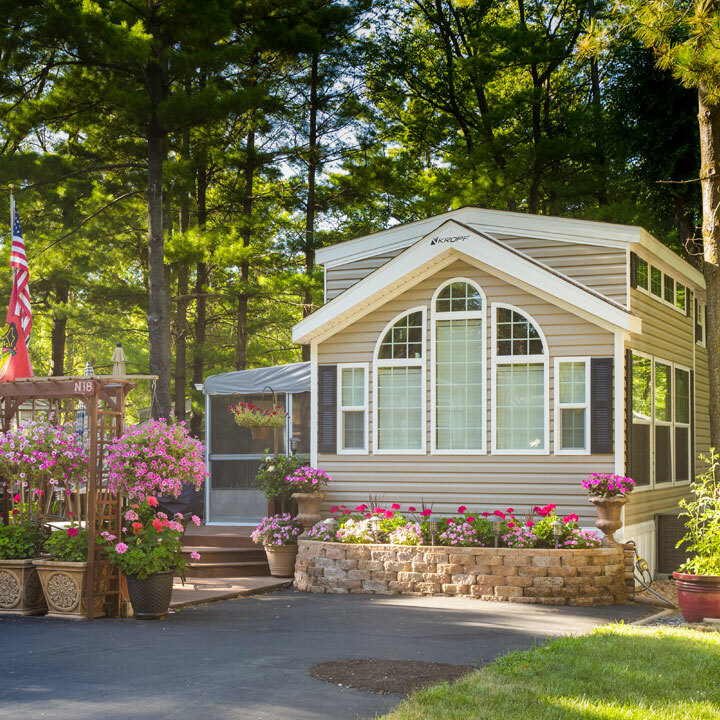 Rent a park model and soak up the Fish Lake Beach life! 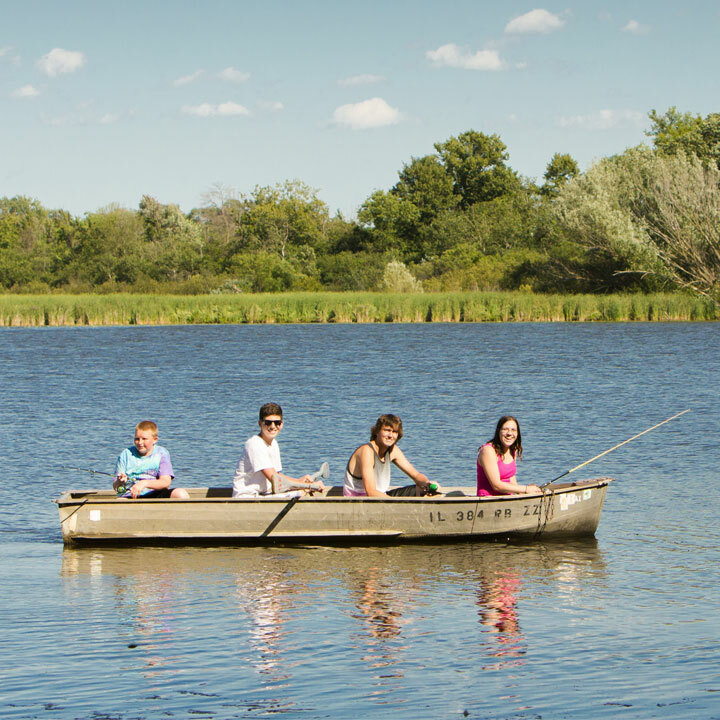 Vast and beautiful, Fish Lake is ideal for non-motorized boats, fishing and swimming. 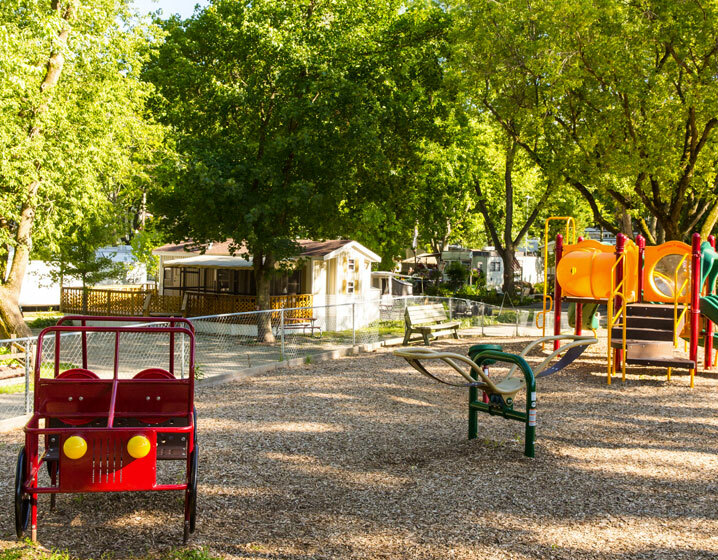 Our sandy beach has swings, a picnic area, playgrounds and grills. Fish for blue gill, crappie, bass, northern pike, bass, catfish, stripers, carp and more! 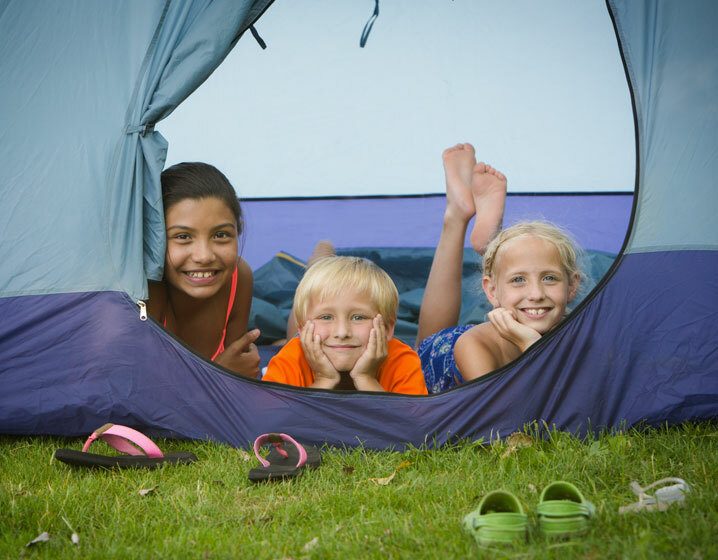 Overnight camping May 1st through October 15th. Seasonal living mid-April through October 15th. Call 847-546-2228. 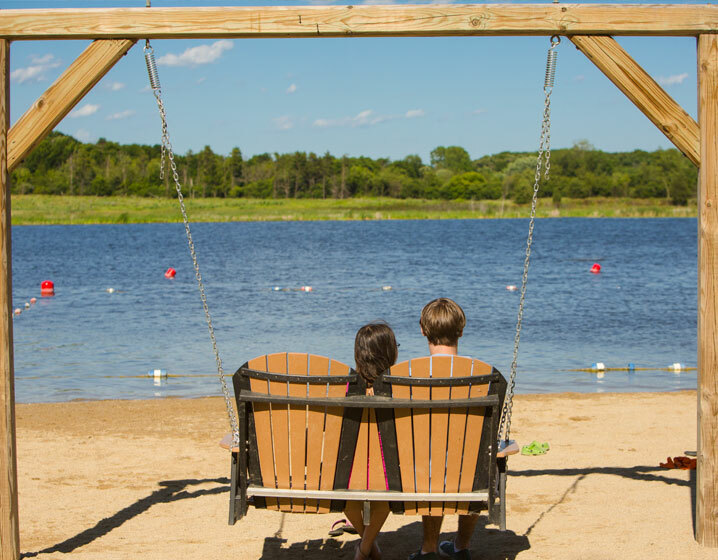 With all that we offer there’s no reason to leave Fish Lake Beach! 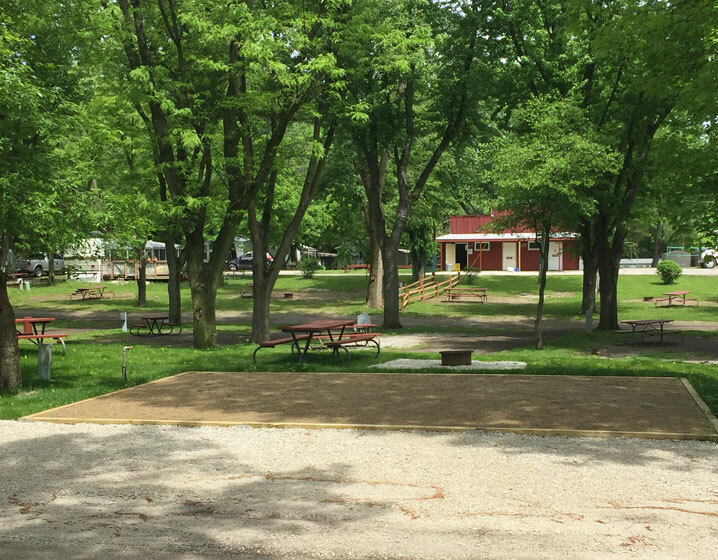 Weekends include scheduled activities such as themed dances, crafts, teen and adult volleyball, Saturday hayrides, movies at the pool and more. 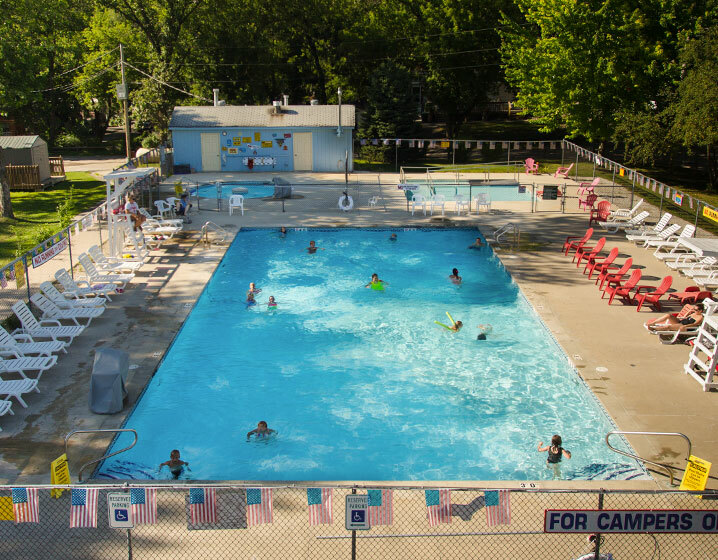 Our heated pool, kiddie pool, hot tub, beach, lake swimming, boat rentals, and fishing are just a few of the amenities we offer. 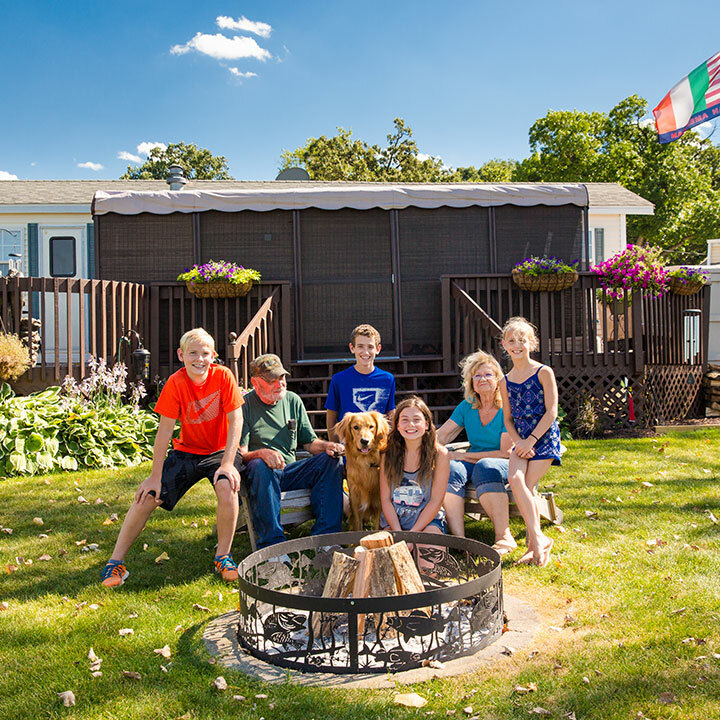 Camp with conveniences like laundry facilities, restrooms & showers, WiFi, a fishing pier, off-leash dog park and concessions. 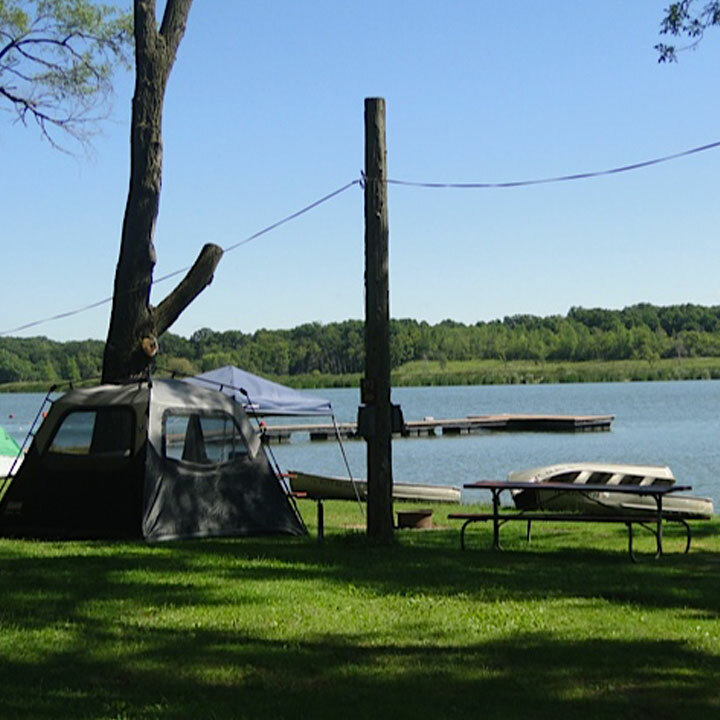 All campsites feature water and electric hook-ups along with a picnic table and fire ring. We sell split logs or bundled firewood along with chocolate bars, graham crackers and marshmallows for s’mores! 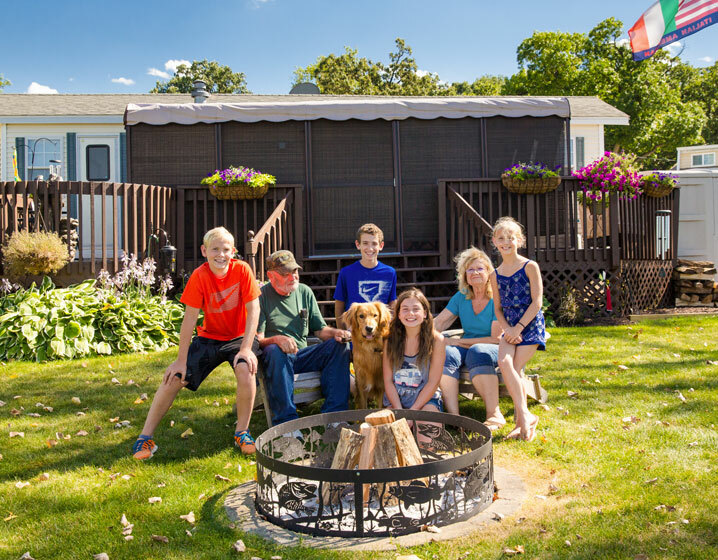 Fish Lake Beach camping resort is dog-friendly however, our park model rentals and the sites they are on are strictly pet free and smoke-free. 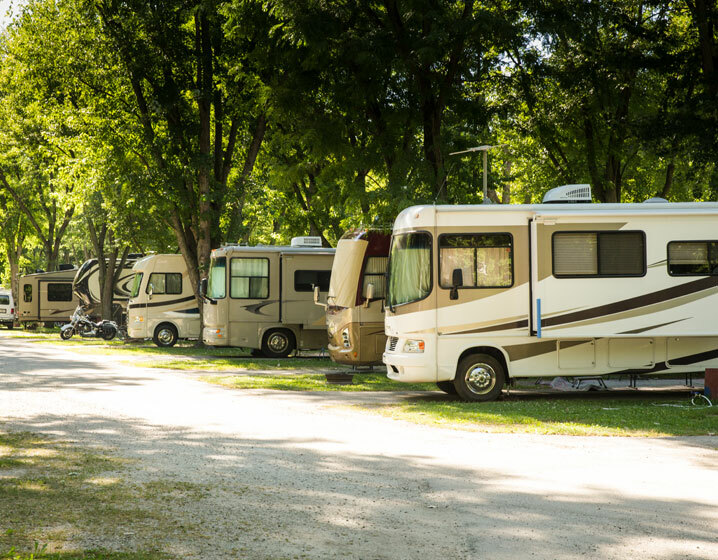 Call 847-546-2228 to make an overnight reservation with your own camper or tent or reserve a rental for comfortable, carefree lodging that is pet free and smoke-free. 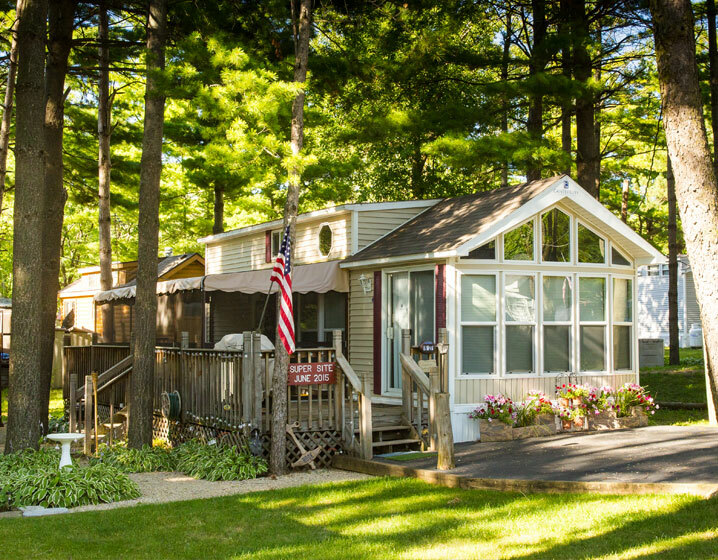 Fish Lake Beach is the Preferred Lodging Partner of Six Flags Great America. 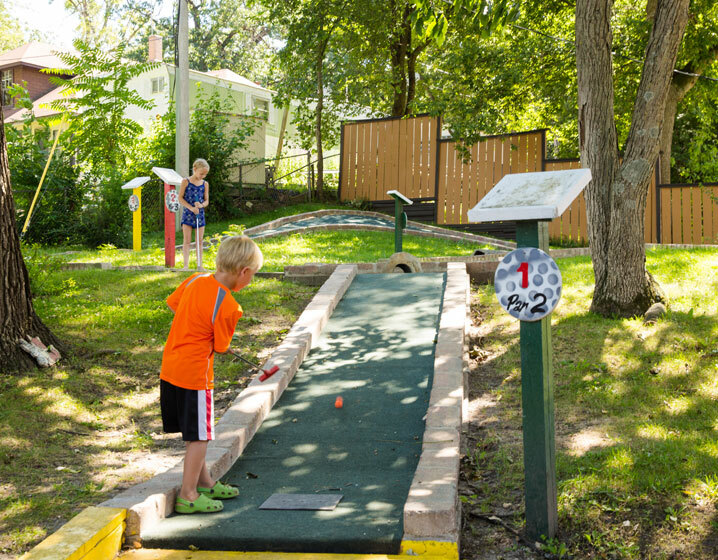 Create the ULTIMATE family getaway-Fish Lake Beach for camping and a visit to Six Flags Great America! Many campers take Lyft or Uber to and from Six Flags. Have a fun getaway in your camper or tent. Or, rent a park model for 2-14 days! 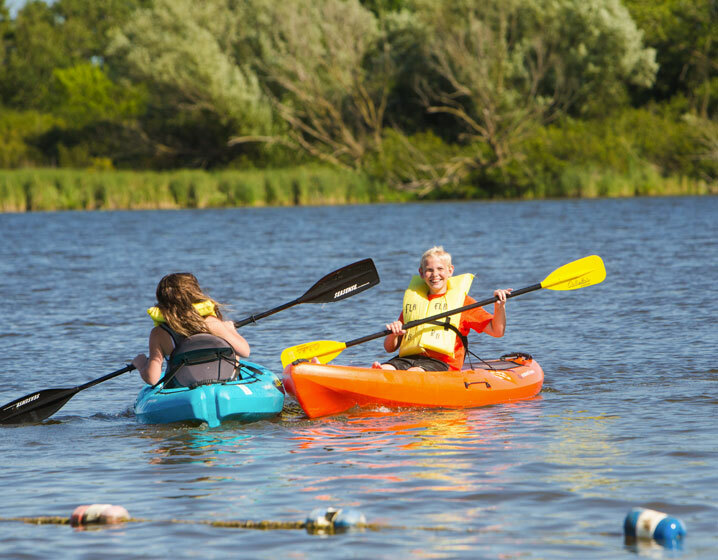 Get away, your way with a Seasonal site at Fish Lake Beach! Open to the public May 1st – Oct 15th. 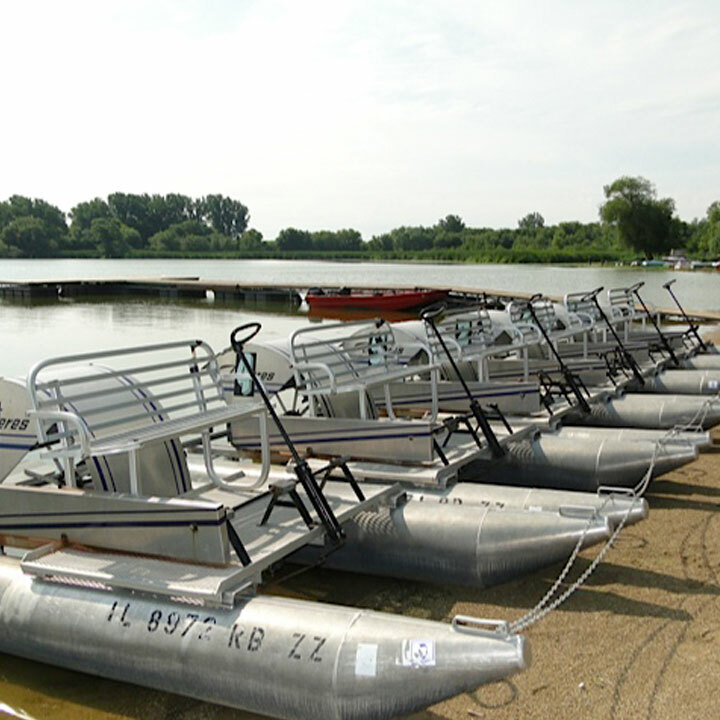 Low admission fee to enjoy the beach and lake. Nice, well-kept park. Most sites are long term. Offers fishing lake, pool, kids playground, laundry, and church on Sundays. We were here for several months and paid a monthly rate. Would definitely stay here again. This campground/resort is an unexpected surprise. It has a feeling of summertime in the 1950’s and 60’s. Most sites are shaded by lovely trees and very roomy. Actually the entire place is in one big grove of trees. There is a smaller lake to fish. The grounds are large but feel comfy. We will definitely be back. Have met some nice folks. Fun place to stay at, lots to do, Fishing, swimming (both beach and pool), boating, and camping. Staff is really friendly and family oriented and and they do their best to make sure you have a pleasant stay. We visited Fish Lake Beach this summer several times to go fishing and swim. It has breathtaking views of the lake and we were able to get our licenses and bait right there. The place is clean and spread out so it was nice and quiet. Will be back to camp. I have been going to Flb for nearly 40 years. Always a good experience. I had fun as a child, my kids always enjoyed Flb and now my grandchildren enjoy it. 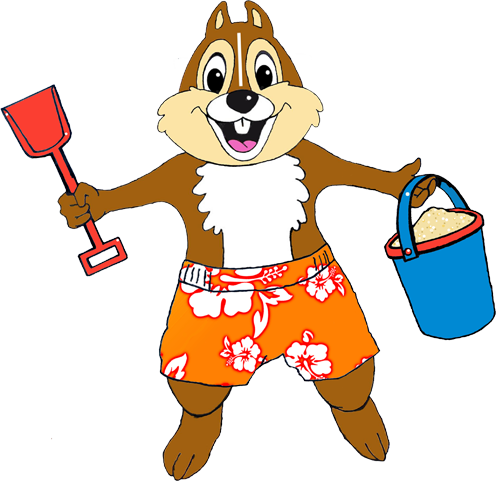 The staff is great, The beach is great, the fishing is great and the pic nice areas are nicely located to the park and water areas.